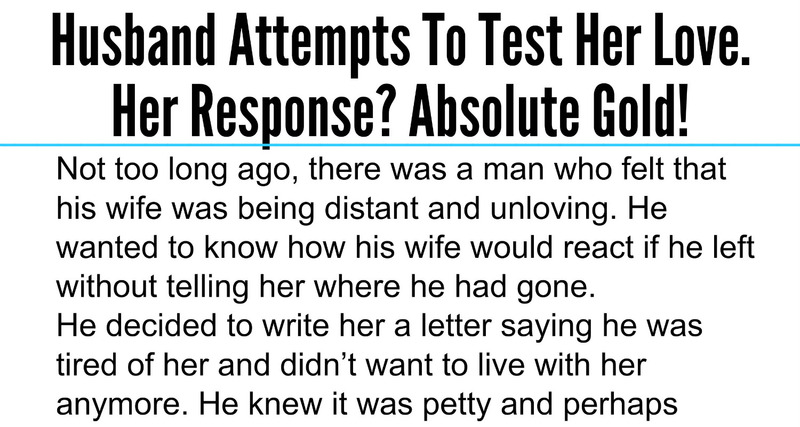 google-site-verification: google8d8438b214143f71.html Beautiful Quotes: Husband Attempts To Test Her Love. Her Response? Absolute Gold! Not too long ago, there was a man who felt that his wife was being distant and unloving. He wanted to know how his wife would react if he left without telling her where he had gone. 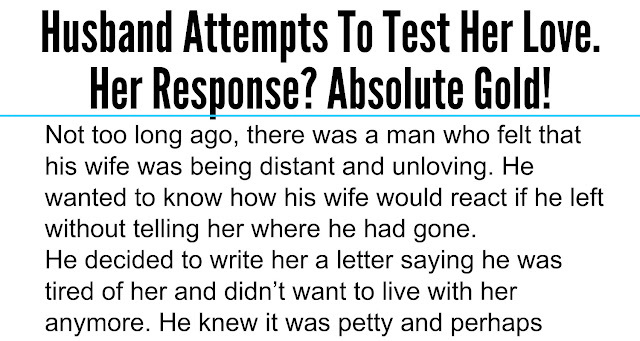 He decided to write her a letter saying he was tired of her and didn’t want to live with her anymore. He knew it was petty and perhaps childish, but he needed to know how his wife felt about him. And besides, this was more of a prank than a real test, right? After writing the letter, he put it on the table in the bedroom and then climbed under the bed to hide until his wife got home. He hoped to hear her outraged response, or to see her get upset. When the wife eventually came back home, she saw the letter on the table and read it. 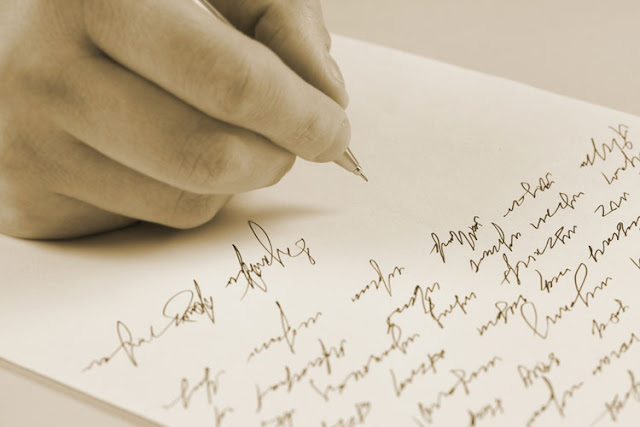 After a few moments of silence, she picked up the pen and added something to the letter. Then she started to get changed, whistling happy tunes and singing and dancing while she did so. She seemed overjoyed, rather than crushed and heartbroken. The man was shocked and incredibly hurt. But things only got worse. The wife grabbed her phone and dialed a number. Her husband listened from under the bed as she started chatting to someone. “Hey babe,” said the wife into the phone. “I’m just getting changed now, I’ll join you in a bit. As for the other fool, it finally dawned on him that I was cheating on him and he left. I was really wrong to have married him; I wish you and me had met earlier. See you soon, honey!” Then she hung up and walked out of the room. After some time, the husband heard the front door open and close – his wife was gone. In tears and very upset, he climbed out from under the bed and stumbled over to read what his unfaithful wife had written on the end of his letter.